Macrocycles offer a unique opportunity to address some of the more challenging drug targets and I've highlighted this on a couple of pages on the Drug Discovery Resources, here and here. 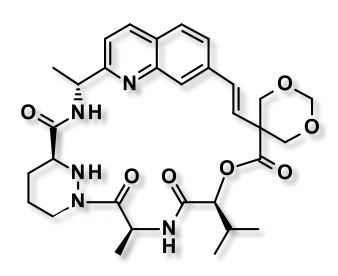 Cyclophilin D (CYP D), is a member of a family of highly homologous peptidylprolyl cis-trans isomerases (PPIases) that interconvert the cis and trans isomers of peptide bonds with the amino acid proline. Proteins with prolyl isomerase activity include cyclophilins, FKBPs, and parvulin. 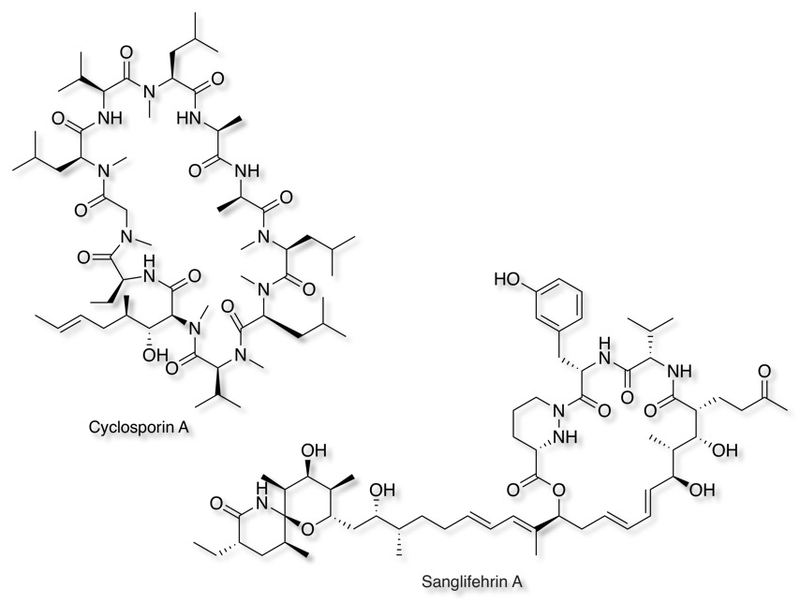 Inhibitors of Cyclophilin D have been postulated as potential drugs for a variety of therapeutic targets including anti-viral activity DOI, neurodegenration DOI, Cancer DOI etc. 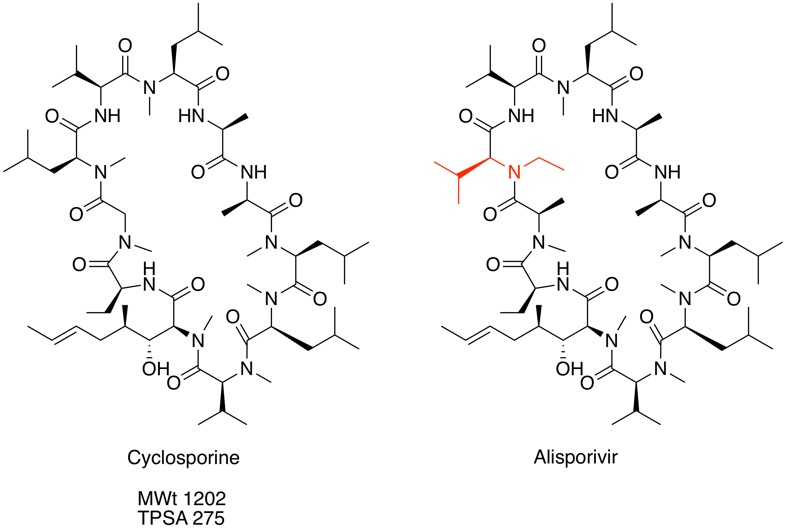 Until recently work in this area suffered from the lack of high quality, selective inhibitors, the best studied being the immunosuppressants Cyclosporin and Sanglifehrin A. At the recent Macrocycles 2018 meeting Vicky Steadman described the identification and optimisation of potent and orally available selective Cyclophilin inhibitors, more details have just been published J Med Chem paper DOI. Let's hope with potent, cell penetrant and orally available tools in hand we can sort out the biology and bring forward a new class of therapeutic agents. The full agenda for the Macrocycles 2018 meeting 8th-9th October 2018 is now available and it looks to be a great meeting. 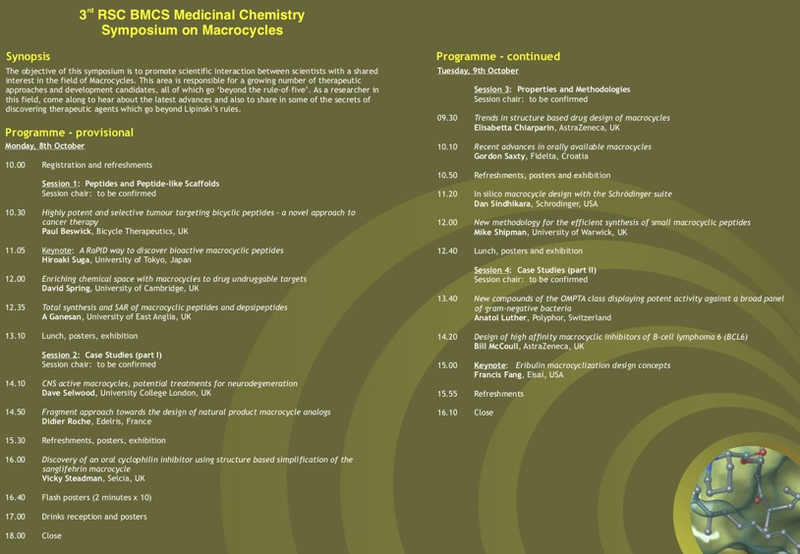 Full details of the meeting and registration is available online here http://www.maggichurchouseevents.co.uk/bmcs/macrocycles_2018-online%20registration.htm. The Protein Data Bank is an absolutely invaluable resource, the PDB is an archive of 3D structural information of proteins, nucleic acids, and bimolecular complex assemblies. However it is much, much more than a simple archive, the submitted structures are curated and annotated to add information about protein ID, sequence information, organism, ligand details etc. This allows users to interrogate the database in many different ways. The database currently holds 141209 entries, with over 10,000 new entries added every year. The vast majority are X-ray crystal structures but there are now over 12,000 NMR derived structures. The PDB also contains 25626 chemical components - 24007 as free ligands in 106374 PDB file and you can search via a web interface or download the structures in sdf file format. 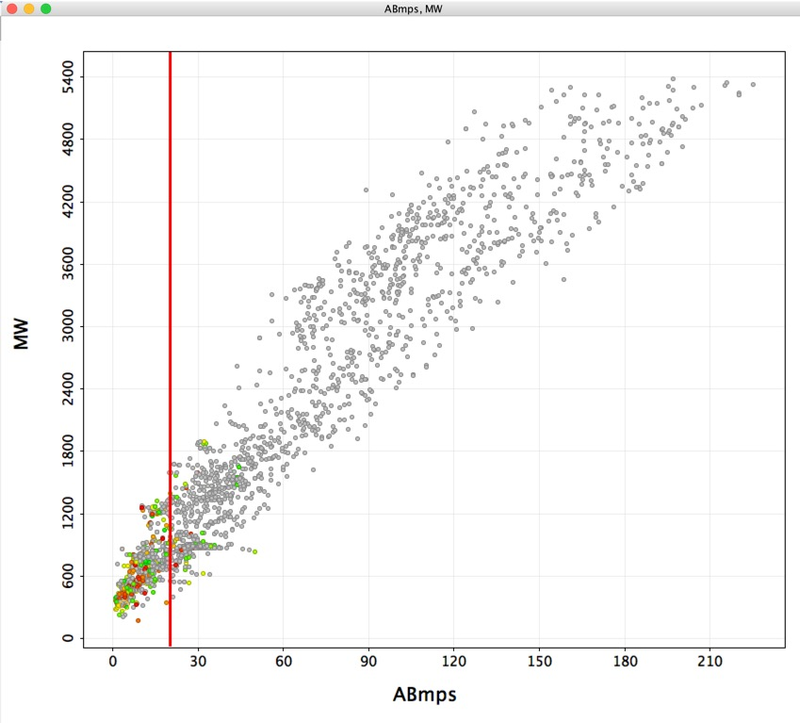 However browsing through the downloaded file it was apparently that macrocycles were not well represented. A discussion with the extraordinarily helpful Rachel Kramer Green at PDB revealed the issue. Basically any ligand containing more that two amino-acids is treated as a protein not a ligand, there are other rules to deal with modified amino-acids etc. but the bottom line is that the only way to get a comprehensive view of macrocycles in the PDB is to download the entire PDB and programmatically by parsing the entire data set. First we need to decide what size ring constitutes a macrocycle. asking the "internet" failed to produce a definitive answer. You can read the results and download the script here. There is also a page that discusses macrocycles in drug discovery. The objective of this symposium is to promote scientific interaction between scientists with a shared interest in the field of Macrocycles. This area is responsible for a growing number of therapeutic approaches and development candidates, all of which go ‘beyond the rule-of–five’. As a researcher in this field, come along to hear about the latest advances and also to share in some of the secrets of discovering therapeutic agents which go beyond Lipinski’s rules. I've created a new page in the Drug Discovery Resources section describing the use of macrocycles in drug discovery. With the advent of more challenging drug discovery targets such as protein-protein interactions there is renewed interest in molecules that are beyond the "Rule of 5". Macrocycles despite apparently undesirable physicochemical properties (High MWt, polar surface area etc.) can have good cell penetration and oral bioavailability. Applications for oral and poster presentations are welcome. Posters will be displayed throughout the meeting and applicants should indicate whether they wish to be considered for a flash oral presentation when submitting an abstract (two minutes, single slide).The closing dates of 28th February (oral) and 8th August (poster). Did you know that most BMCS sponsored meetings have a number of bursaries available for PhD and post-doctoral students? Normally up to a value of £250, these awards help to cover registration and travel costs. Preference will be given to members of the RSC (and meeting co-sponsors if applicable), especially those who are selected to give posters. Full details and application forms are here http://www.maggichurchouseevents.co.uk/bmcs/Macrocycles-2018.htm.